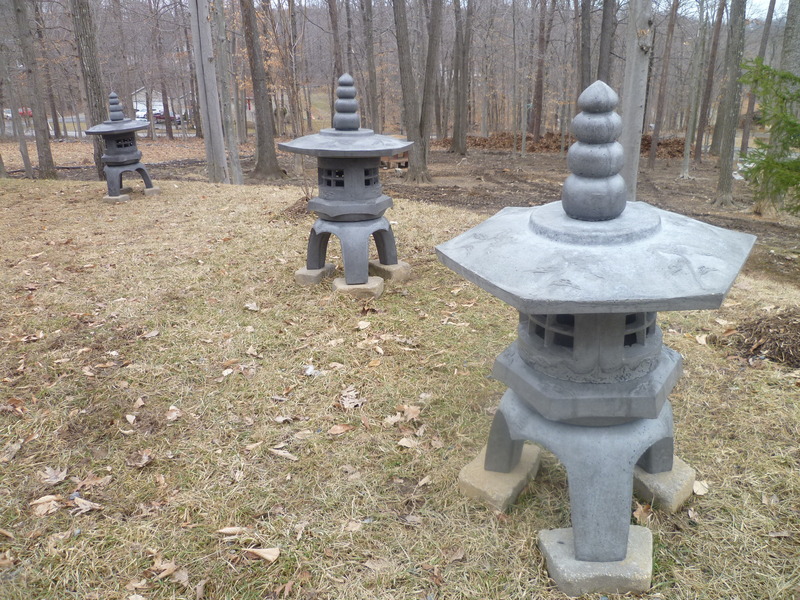 Consists of: Lantern Base, Lantern Bottom, Lantern Cage, Lantern Core, Lantern Lid, Tiered Ball Ornament. 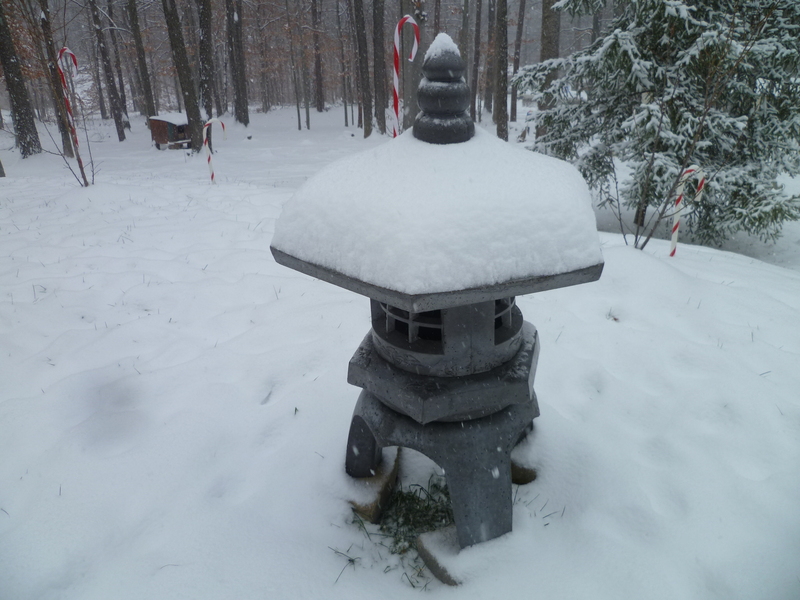 The total weight of all casts 313lbs. 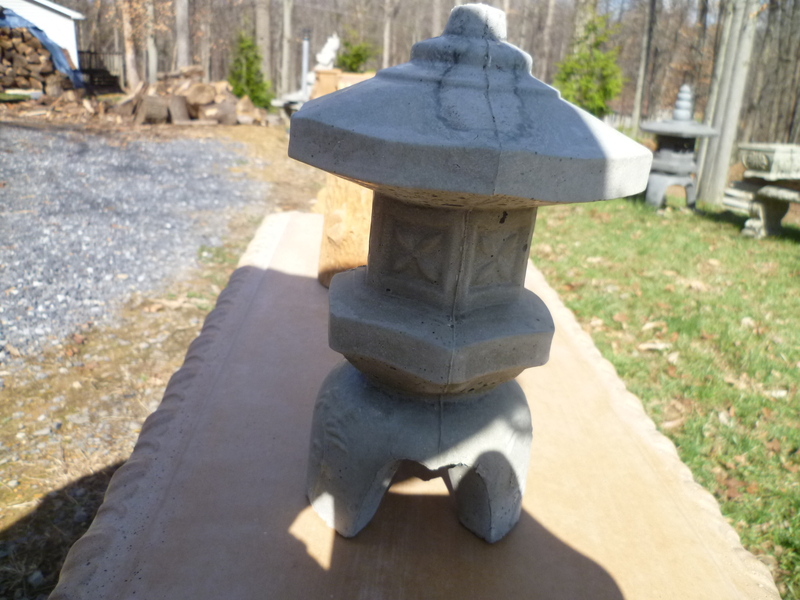 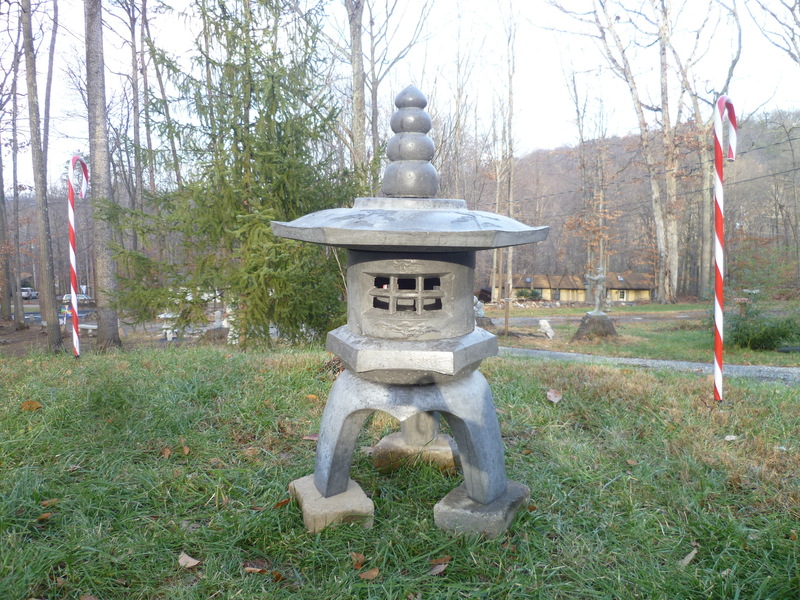 Lantern Base: When used alone, the 70 pound concrete product from this mold makes an excellent stool or elevating base for flower urns, etc. 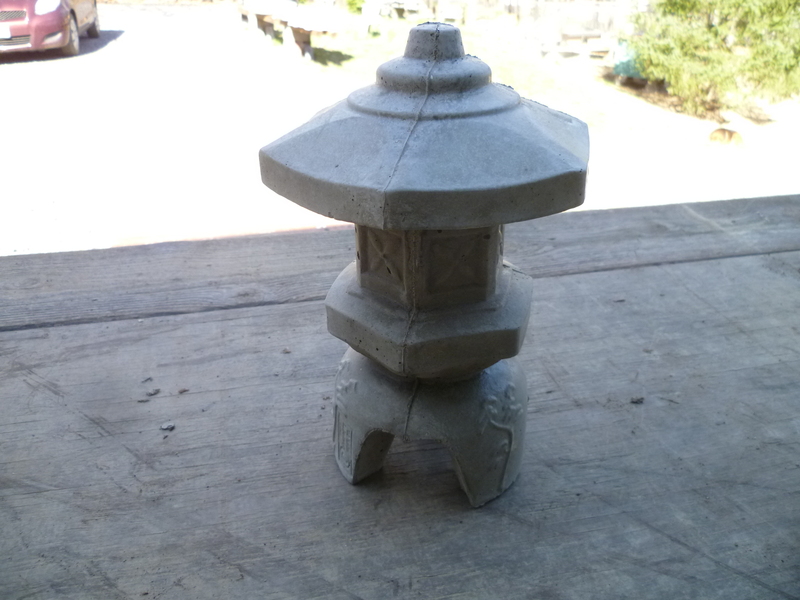 Lantern Bottom: The hexagon design of the base compliments that of the lid. 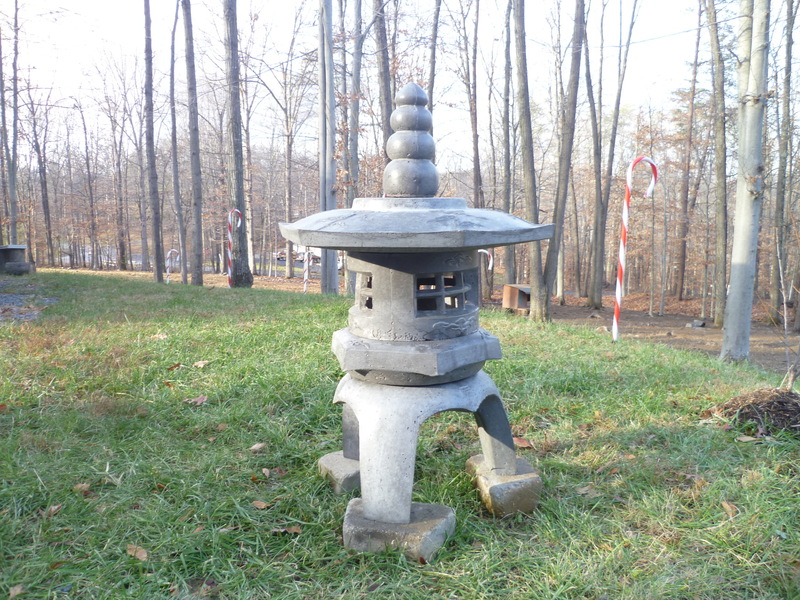 The concrete item weighs only about 50 pounds. 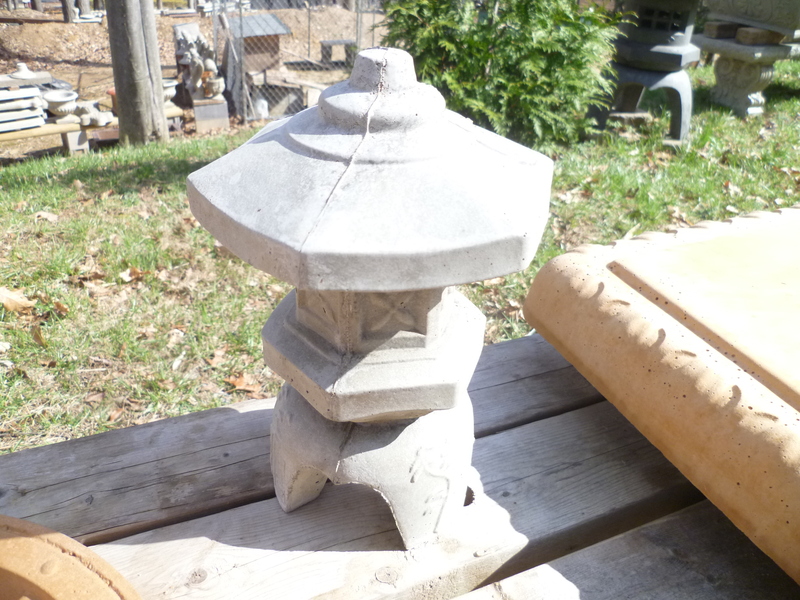 Lantern Cage: The concrete item weighs approximately 25 pounds and is open both at the top and bottom so that it can be locked into position. 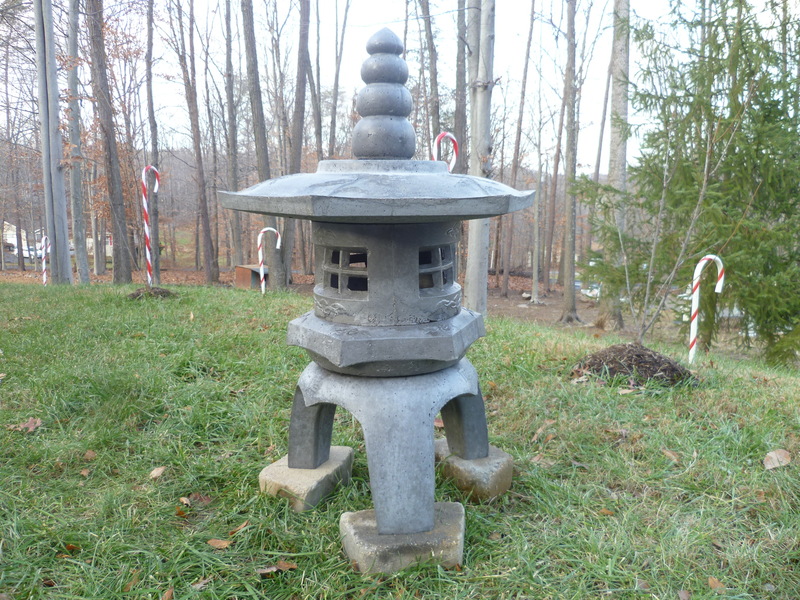 Alternate Lantern Cage: Two options (more later), the concrete cage weighs about 23 pounds. 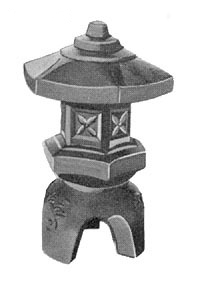 Lantern Lid: Features six ornate Japanese Toro Trees on top surface and a projecting ring on the bottom for positive location. 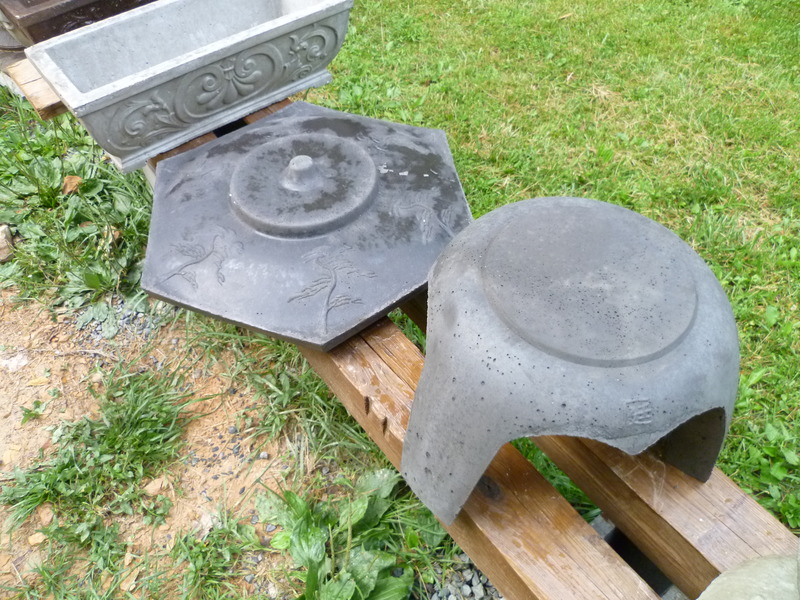 The finished hexagon shaped concrete lid weighs about 135 pounds. 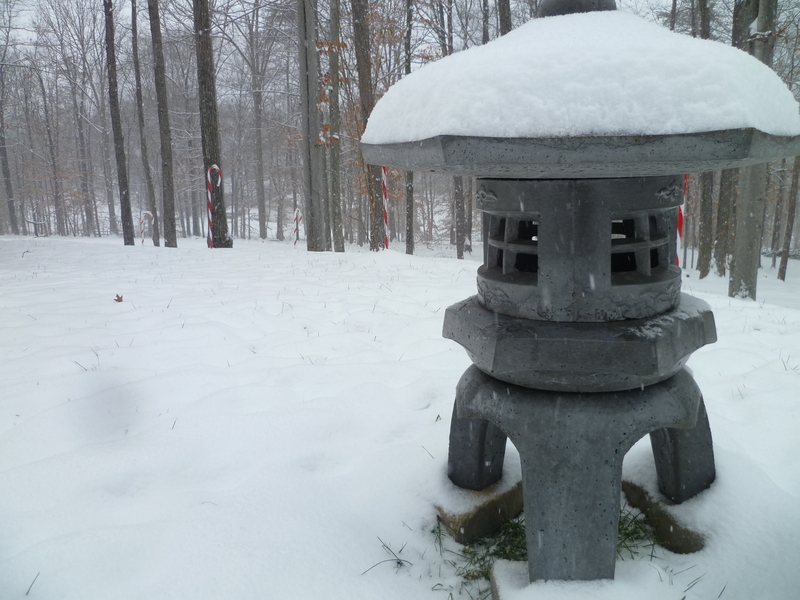 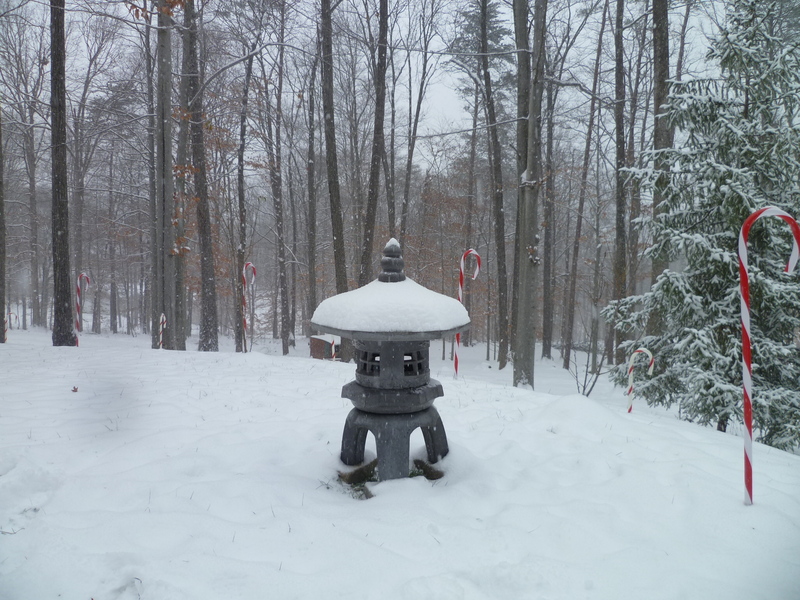 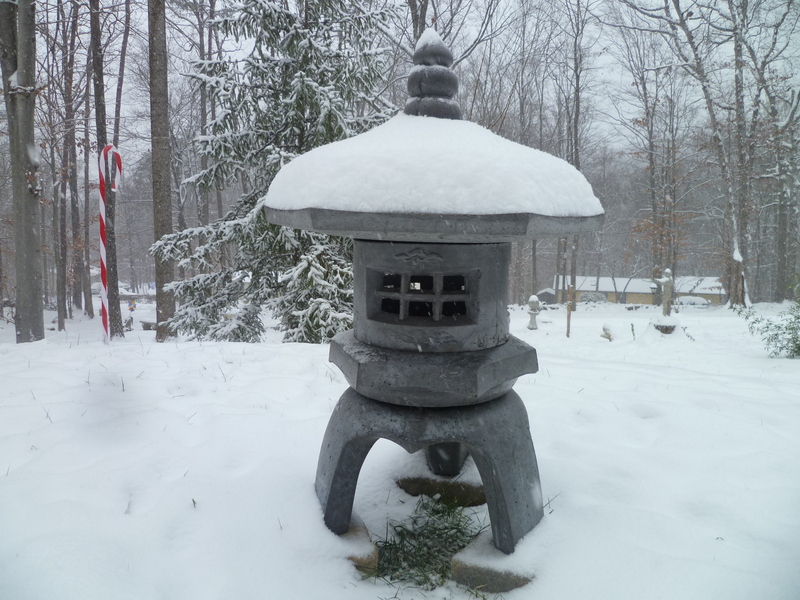 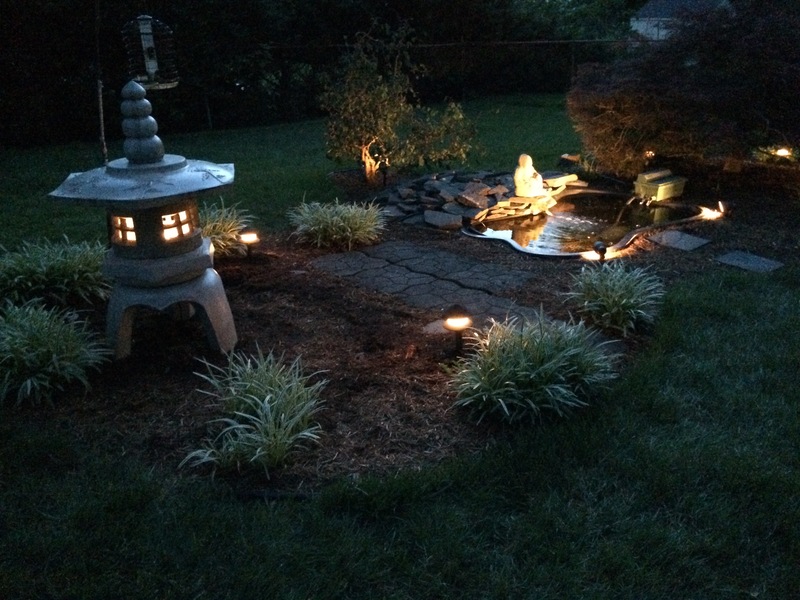 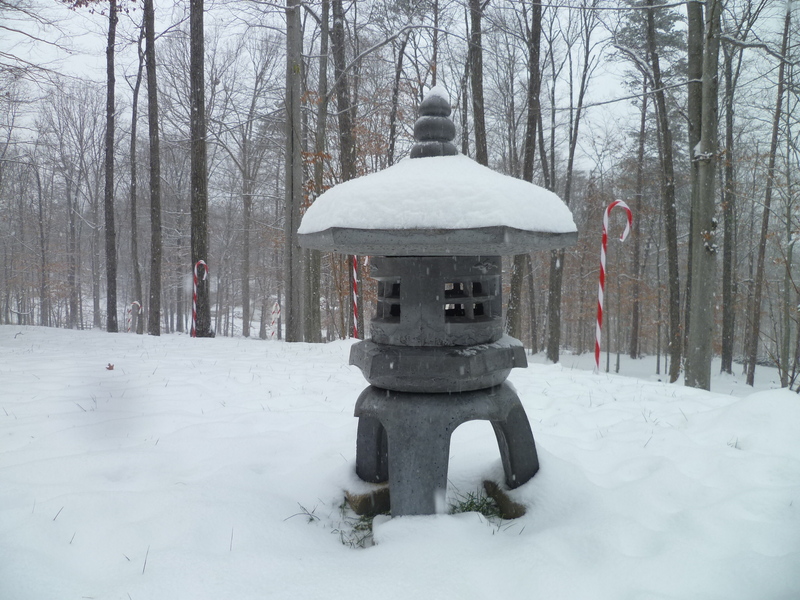 Tiered Ball Ornament: Although the ornament could be omitted and reduce the overall height of the assembled lantern to 33″, it adds a special oriental touch that completes the lantern. 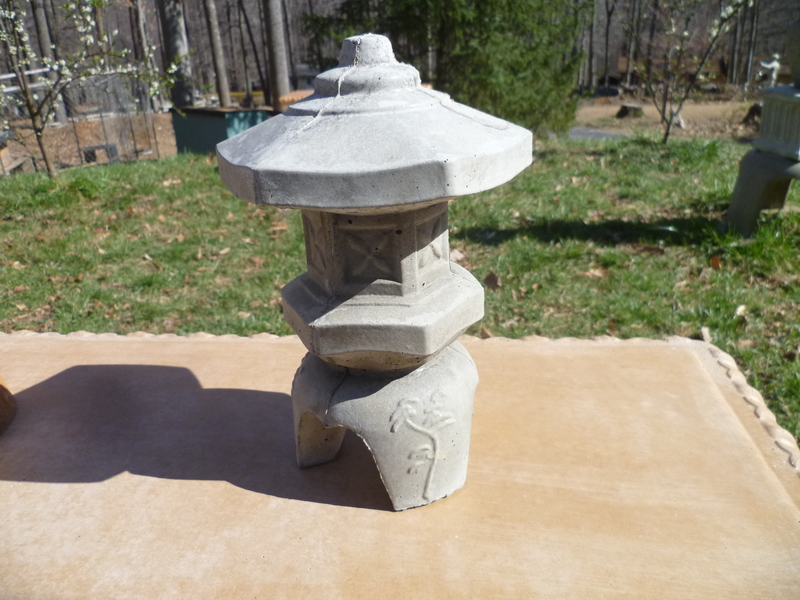 Item weighs approximately 10 pounds. 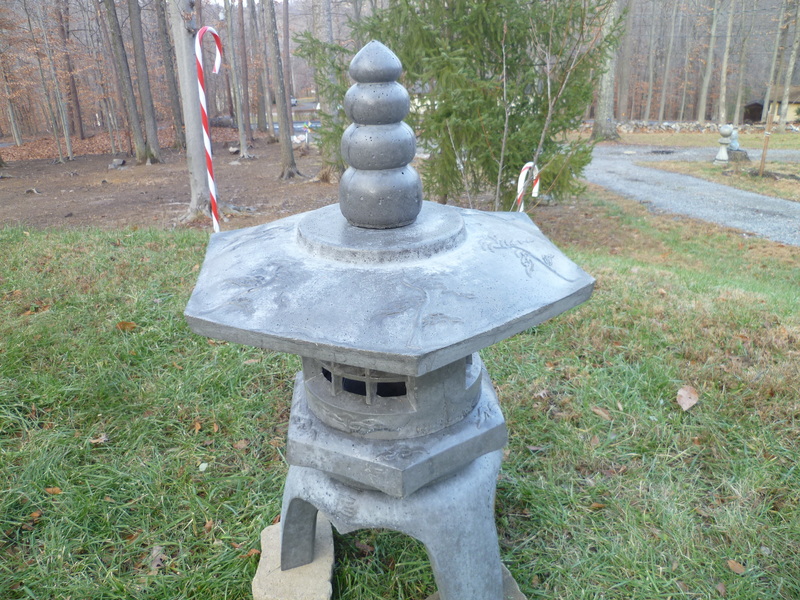 Because the ornament fits over the center peak of the lantern lid, it adds only a net height of 10″ to the assembled lantern.